Also included here is 33 minute pre-performance Champion Stretch Prepared For Top Female High Diver & Cirque Du Soleil Performer Lysanne Richard Via Skype a shorter program designed to do pool side before important competitions. Excellent for Synchronized Swimmers, Cheerleading, Dancers, Performers or Athletes that want to perform their best. 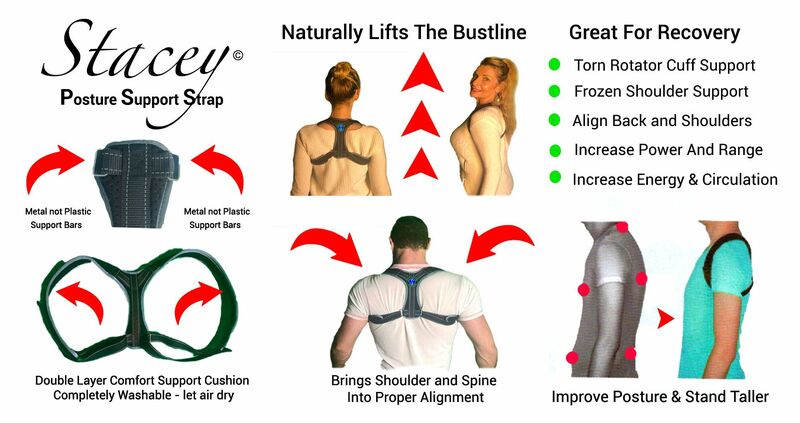 Stacey's Stretch Strap gets immediate results to increase your flexibility. Deepen your stretches, immediately correct your form and see improvements that assist with your overall performance. Get immediate improvements to your posture. Use this in conjunction with this course to rapidly improve your range of motion and overall posture. Join the Flexibility Movement! Sign up to Immediately Improve Your Flexibility. Stacey is one of the most renowned flexibility masters. She has been Flexibility Coach to top athletes, Olympians, Professional dancers, Cirque Du Soleil performers, Actors, UFC Champion Victor Belfort & Carlson Gracie Team and more, all to maximize their potential. She has been involved as an action actress with her understanding of how to maximize range of motion with perfect alignment. Stacey has over 25 years of experience in the field of flexibility and martial arts. She is a blackbelt in Kung Fu and began working with flexibility when experts recognized her unique gift and range of motion. Her extensive experience is highlighted in these courses, designed to get you the same results as the top professionals. Flexibility Makeover is designed to help you reach your full potential. Increase your range of motion, boost your performance and optimize your health.